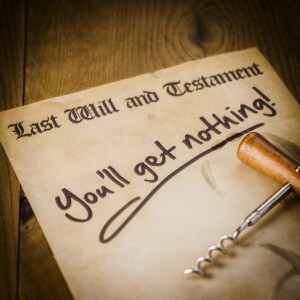 How do you dispute a will? In Naidu v. Yankanna (Estate), 2018 BCSC 878, the court’s ruling shows what NOT to do when applying to vary a will. In Naidu, a testator died and left his entire estate to his new wife, to the exclusion of his prior wife and five of his children. Prior to passing, the deceased transferred property to his new wife and some of her children. The children brought a claim to set the will aside alleging their father prepared it without capacity and that his will failed to adequately provide for them under the Wills, Estates and Succession Act, SBC 2009 Chapter 13. The defendants argued that the children could not start a claim but must decide whether the deceased had capacity through a petition according to Rule 25-14(4) of the Supreme Court Civil Rules and asked the court to strike their claim for not having been properly brought under the rules of court. Mr. Justice Jenkins applied Rule 9-5(1) of the Rules which allows the court to strike pleadings that disclose no reasonable claim or defense. He held that although the Wills, Estates and Succession Act allows children to vary a will any order to vary a will cannot occur until that will is determined to be valid. A will is valid after is proven in solemn form and that procedure is started by a petition. Because the children had not started their claim properly, he struck that part of the claim. Next, Mr. Justice Jenkins dealt with the children’s claim to recover the properties that the deceased transferred before he passed. Assets that are transferred before passing do not form part of an estate and are separate. Mr. Justice Jenkins noted that section 151 of the Wills, Estates and Succession Act requires those seeking to get back assets for the estate to apply for permission or “leave” of the court. Because the children did not get leave before starting their claim, Mr. Justice Jenkin struck that part of their claim. If you or anyone you know has an estate issue or wants to dispute a will, give the goodfirm lawyers a call at 604.264.5550. Can I just say what a aid to find someone who really knows what theyre talking about on the internet. You definitely know methods to convey an issue to light and make it important. More folks have to read this and perceive this facet of the story. I cant believe youre no more standard since you undoubtedly have the gift.